Whether you're right there in the delivery room watching your new little angel come out, or you see the family with the newborn baby a couple weeks after, one of the best ways you can celebrate the new arrival? With a colorful flower arrangement! LolaFlora has a wide variety of different baby bouquets for you to choose from - whether you're going for something pure, like an all white bouquet. Or, you want something more bright and colorful to set a fun tone and celebrate their new life. It's entirely up to you to choose - LolaFlora will deliver some of the most crisp, bright and fresh flowers you've ever seen. Can't Make it to the Baby Shower? Don't worry if you can't make it to the baby shower in person. 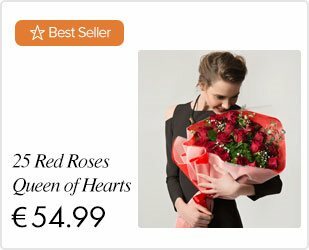 Instead, you can send them a token of your love and celebration with our service that allows you to send the beautiful flower arrangements right to the newborn's door. That way, you can still celebrate their new existence and the new family can feel your presence through the flowers. One of the best thing about LolaFlora is that we make sure to deliver your flowers on time, every time. 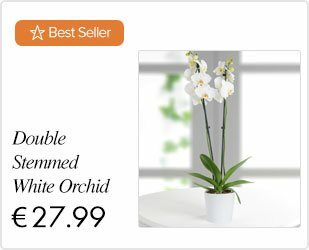 With express shipping, we are able to get your bouquets delivered right to your door in as little as the same day, or 2 days. You can always buy in advance, as well, in order to plan out when exactly you'd like the recipients to receive your gifts for the new baby. There's no better way to celebrate the new arrival than with new baby flowers! Order your favorite arrangement here on our website, and leave it to us to deliver the selected premium bouquet.